It sounds like the same thing that happened to my Big Bird doll. Is there a strang sound on the tape but at the same time you can still hear the story? If this is the case record the stories as they are. I THINK i can edit the sound so it plays right. You're right. The encoding is on the right channel. So I'm recording it now as I type this. Thanks for that. Do you need me to fix the files for you or do you know what to do???? I think I can do it with Gold Wave. If not I'll let you know. Thanks. The link for The Mickey tape is missing. Sorry. I missed one letter in the file code. Try it now. Sad news on this end. The Talking Mickey arrived last week, but does not work. Tape plays slow, and the Mickey does not move at all. Anyone ever had any experience fixing these toys? Thanks again Bob. I wondered if Talking Alf was a World of Wonders toy also. I know Teddy Ruxpin was. I see however that Alf was made by Coleco. My guess is that a belt is broken in the mickey or the motor is dying. 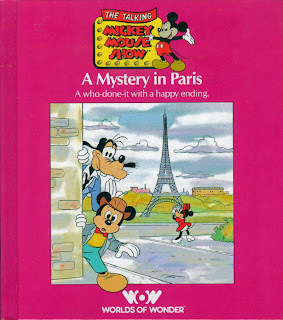 You would hae to take Mickey apart to find out. Belt should be easy, but if it is the motor, that could be a little expensive. I'll have to see if I can check the insides. I'm waiting to see what PayPal does about making them give a refund first though. It wasn't very expensive, but the listing did say it was in working condition so that's what i expect PayPal to hold them to. 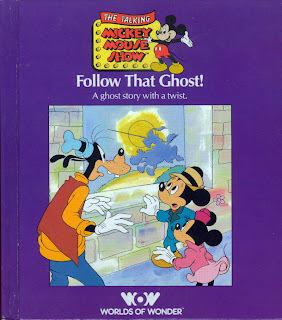 Also I just listened to the MP3 files of the first Mickey story that you posted. I try to keep file times down below 7 or 8 minutes in case anyone wants to rip the files into a CD later. I know with my CD Driver any file longer than 8 minutes some times can abort the burn right in the middle. I never have figured out if it's my driver or the program I burn with. I'm currently collecting the tapes and books for my doll; I have 11 of the 13! Two of the books have been taken down by Megaupload. Ludwig von Drake too. Yes. I'm not sure what's put the burr up their butts all of a sudden, but I'll have to re-upload what I can. Some files I've found already in my blogs were lost and are irreplaceable because I ever had a chance to back them up before the virus hit us 2 weeks ago. We had to wipe clean our Internal Hard Drive in order to even get past the Windows Reboot screen. Sorry. It's going to take a while before I can get everything re-shared. Most that I've seen with 4 books on ebay start at around $19.99. If you're going to sell it outright (with the books included) though I would recommend asking for between $30.00 and $40.00. Good luck. P.S. - sorry again that the files have once more been deleted. Finding a hosting site that will leave them alone is an ongoing task. Hi, My wife has just pulled out from our attic both Mickey Mouse and Goofy Talking Dolls for our 2 year old, however we cannot find an tapes. So after trawling the web have found your site with download zip files but the links are no longer valid, is there any chance that I can get a copy of the stories please. I can send you the files yes, but they wouldn't be playable in your Talking Mickey. I would love to have the files as well. I can't find my tape for The Impossible Journey. 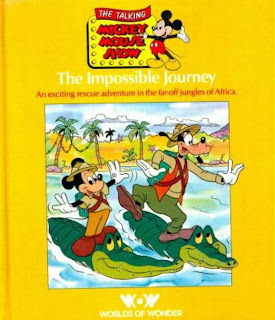 i tried the links for the mickey audio tape zips but they were deleted, does anyone still have copies or know where i can get them. My sister found it in her closet and my nephew would possibly like them. any response will be sent to my email address.. thanks in advance. Could anyone please tell me where i can get these tapes, I have the talking Mickey & Goofy still mint which i'd like to give to my toddler! Ebay would be your best bet. I had the Mickey Mouse. He was eventually passed down to my nephews. I'm so excited to know that others had these! 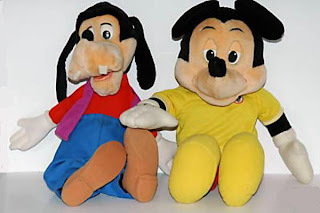 I also have both the Mickey and Goofy in EXCELLENT condition. I received them as a Christmas gift when I was a child. 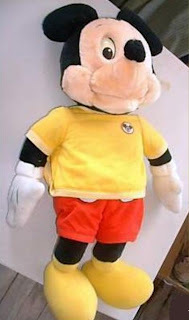 I also have the cord that connects the two, four books with tapes, a complete band uniform for Mickey, a pajama set with matching robe and slippers for Mickey, and a few other items as well. These items have been my "prized possession" since I can remember. Would anyone know where I may be able to get more of the outfits? Does anybody have copy of cassettes in wav or mp3 files? Could you please reupload the zip files with the books Please? Is there any chance you could email me the zip files. 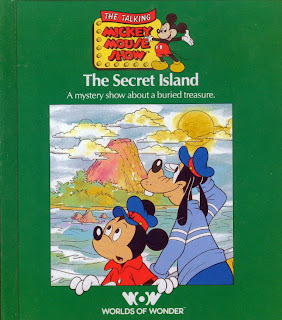 I have mickey & goofy from when my son was little but have lost the books and tapes. Sorry no. Most of my music files are on my hard drive that is currently in storage that I have no access to.